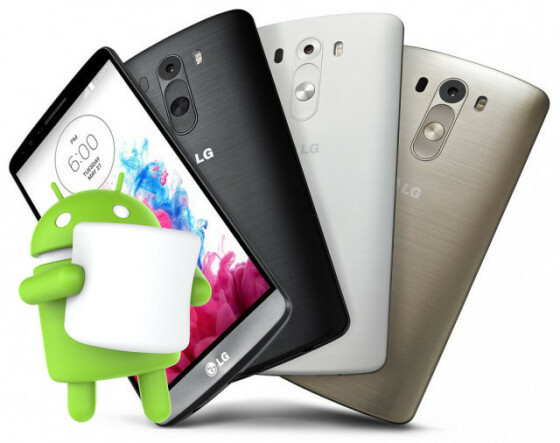 The long anticipated android 6.0 marshmallow update for LG G3 is here, and over-the-air, you can easily upgrade the operating system of your LG G3 to Android 6.0 Marshmallow. As known, the Android 6.0 Marshmallow is a successor to the Lollipop OS, with security patches and some other features included, like, crazy app menu, cool app search bar and favorites, memory manager, best battery optimisation techniques, Google now on tap, doze mode, app permission, auto backup and many more. The LG G3 smartphone basically runs on Android 4.4.2 kitkat out of the box and powered by a Qualcomm MSM8974AC Snapdragon 801 chipset, Quad-core 2.5 GHz Krait 400 CPU, Adreno 330 GPU, coupled with a 2/3GB RAM and a 16/32GB internal storage depending on the variant of the device. So, upgrading to Android 6.0 marshmallow give you great benefits of your device. Read full specs and features of LG G3 here. We’ll keep you guys updated on how to update the LG G3 to Android 6.0 marshmallow manually, but for now, you can check in for the update and upgrade automatically. To upgrade, simply go to Settings >> About Phone >> system update to update to marshmallow.